Footloose: The Musical bursts back onto the stage in 2016, playing at the King’s Theatre Glasgow from Monday 13 to Saturday 18 June 2016 as part of a major new UK Tour. 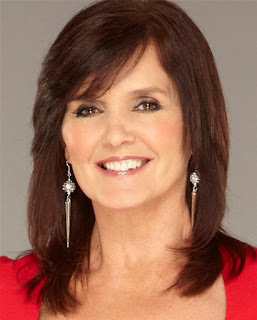 Maureen Nolan will play Vi Moore. Maureen has been singing with her sisters since she was nine years old, when they became one of Europe’s first girl bands, The Nolans. Best known for their smash hit single I’m in the Mood for Dancing, The Nolans enjoyed phenomenal record sales worldwide, and worked with some of the world’s most respected artists including Frank Sinatra. On stage, Maureen has played Mrs Johnstone in Blood Brothers in the West End and on tour to critical acclaim. She was the fourth Nolan sister to play the role, earning them entry into the Guinness Book of World Records. Other credits include Sadie in Girl’s Behind, Jill in Mum’s the Word and Sarah in The Naked Truth. Luke Baker will play Ren McCormack, the role immortalised on screen by Kevin Bacon. Luke has just finished playing Theo in Green Day’s American Idiot in the West End, with other West End credits including the Olivier Award-winning Sunny Afternoon, Beautiful Thing and I Can’t Sing. The cast also features Hannah Price as Ariel Moore, Nigel Lister as Reverend Shaw Moore, Nicky Swift as Ethel McCormack,Joanna Sawyer as Rusty, Matthew Tomlinson as Chuck, Natasha Brown as Wendy-Jo, Miracle Chance as Urleen and Scott Haining as Bickie. The cast also includes Lauren Storer, Natalie Morton-Graham, Luke Thornton and Alex Marshall. Based on the 1984 screen sensation starring Kevin Bacon, Footloose: The Musical tells the story of city boy Ren, who has to move to a rural backwater in America where dancing is banned. All hell breaks out as Ren breaks loose and soon has the whole town up on its feet. 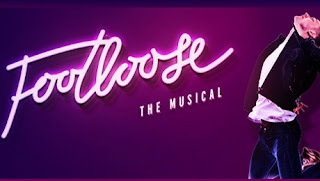 Featuring classic 80s hits including Holding Out for a Hero, Almost Paradise, Let's Hear it for the Boy and the unforgettable title track, Footloose: The Musical is set to take the world by storm once again in this brand new production, bursting with youthful spirit, dazzling dance and electrifying music.